Elecraft KX3 for data mode communication. 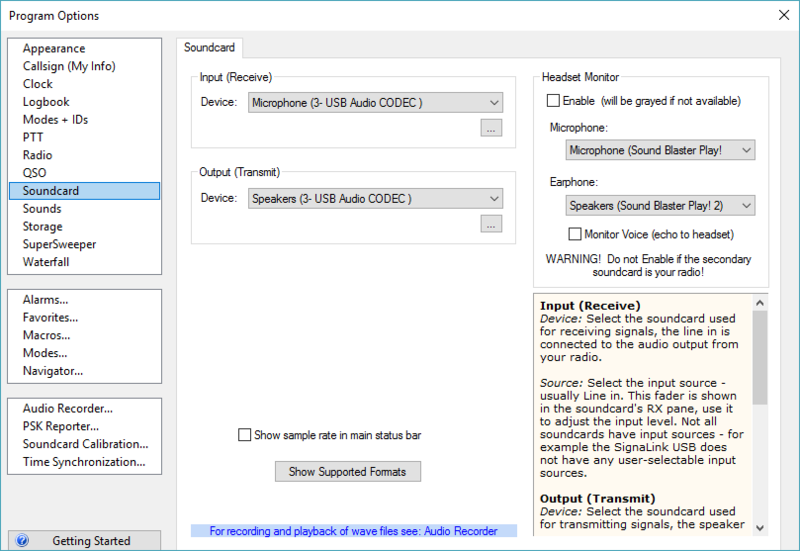 The configuration of the Elecraft KX3 is a little different, well use the Microphone and headphone sockets to connect to the sound Signalink sound card. This page will take you through the setup and configuration process. 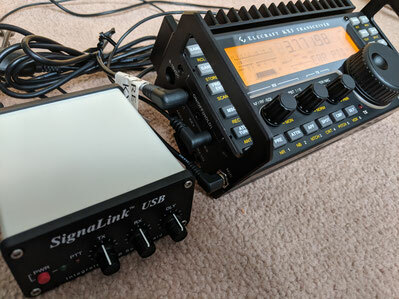 Before connecting up, do ensure that your SignaLink is is configured correctly, this will involve taking the unit apart. It should have come with clear instructions on how to do this, alternatively go to the Tigertronics website for help. There are four socket head screws on the front of the unit to remove, this allows you access to the configuration socket. 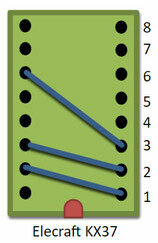 Configuration is no problem and should not be too difficult to do. New units are supplied with precut link wires which work just fine. Alternatively there are pre-configured adapters available which will slot right in and eliminates the need for link wires. 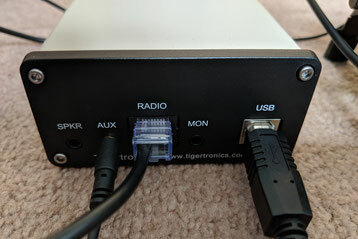 Received audio is connected to the Signalink via the headphone socket on the KX3. 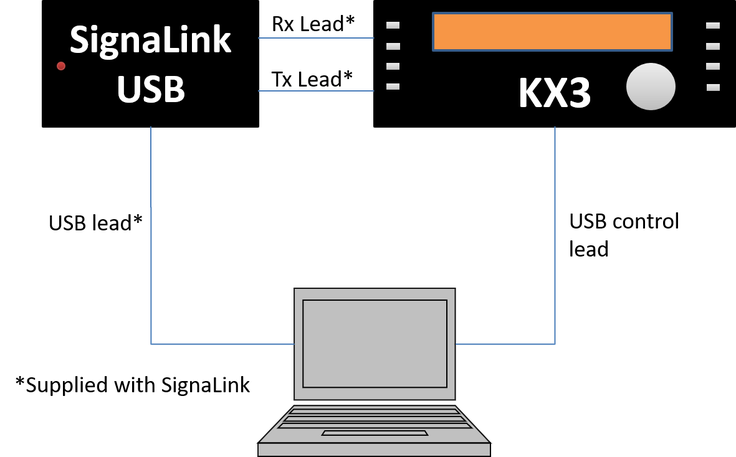 The Transmit audio and PTT is connected to the KX3 via the Microphone socket on the KX3. 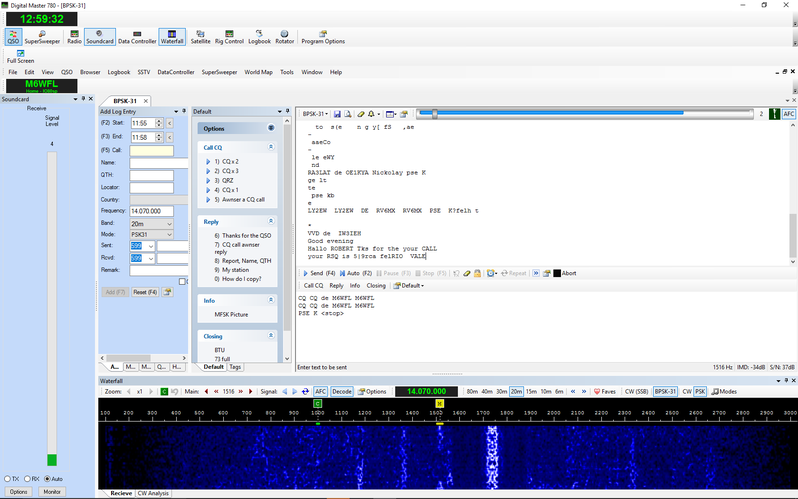 PTT is activated when audio data is sent via the Signalink (like VOX). 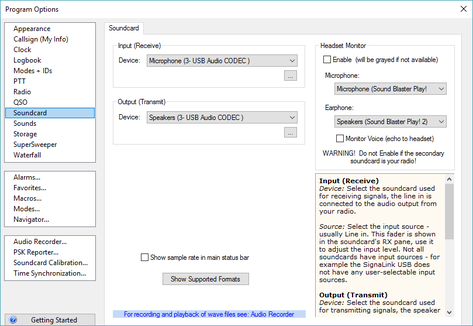 You'll need to install the driver and setup your Signalink sound card levels on your PC as described here: http://www.tigertronics.com/index.htm . It's easy to do and should not cause any problems. Adjust the RX knob on the Signalink so the waterfall displays good clear data streams. The Elecraft KX3 volume knob should have no effect. 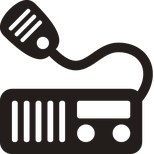 When transmitting, adjust the TX knob on the Signalink so that the last ALC bar is just starting to flash (you may need to slightly move the Mic gain dial on the KX3 to show this). You may have to adjust the transmit levels regularly depending on frequency and power settings, so do keep an eye on this.